Noted dramatic feature and documentary filmmaker Wim Wenders has tended to move back and forth between those two cinematic forms of expression over his forty-five year career. And in both of these cinematic forms, he seems to have had particular interest in two themes: people on the road and what it is that drives creative artists. Interestingly, both of those themes came to the fore in his latest documentary film, The Salt of the Earth (2014), which was co-written and co-directed by Juliano Ribeiro Salgado . 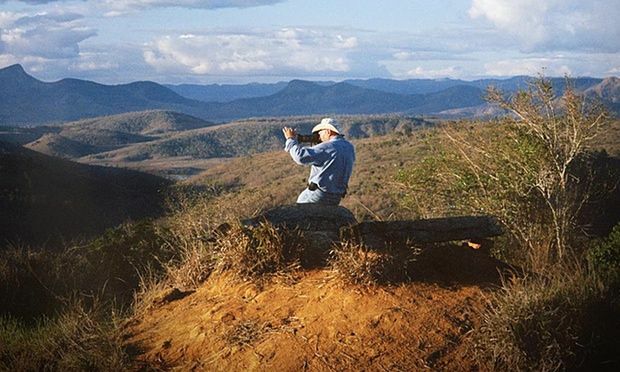 The subject of the film is the life and work of world-famous “social photographer” Sebastião Salgado, whose long career has been devoted to extended projects documenting the lives and circumstances of Third World people under stress. When Wim Wenders approached Sebastião Salgado in connection with making a film about him, he learned that Sebastião’s son, Juliano, was already occupied with making a documentary about his family. So after some negotiation, Wenders and Juliano Salgado agreed to collaborate on a single film . In fact the issue of multiple perspectives concerning how the world is seen is a significant theme of the film, as I will comment on below. The resulting film has been a big success. The Salt of the Earth was nominated for the US Academy Award for Best Documentary at the 87th US Academy Awards; it won a “special prize”  at the 2014 Cannes Film Festival; and it won the César Award for Best Documentary Film at the 40th César Awards (the French “Oscars”). What makes the film particularly attractive, perhaps, is that is appeals to people on different levels. 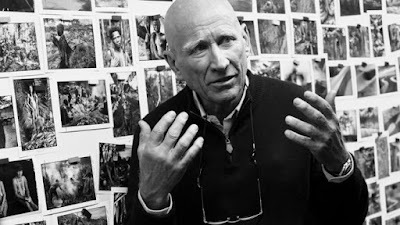 Some people are fascinated by the dynamic exploratory personality of Sebastião Salgado, himself. Other people are interested in the dramatic subject matter that he photographed. And still others derive satisfaction from the narrative journey of Salgado’s life and the degree to which it has come to some positive resolution. Sebastião Salgado has spent his career traveling to remote regions of the world and photographically capturing in a single image an entire world suspended in a state of dramatic tension. They say every picture tells a story, but Salgado’s pictures evoke breathtaking stories that make the viewer linger on them at length. 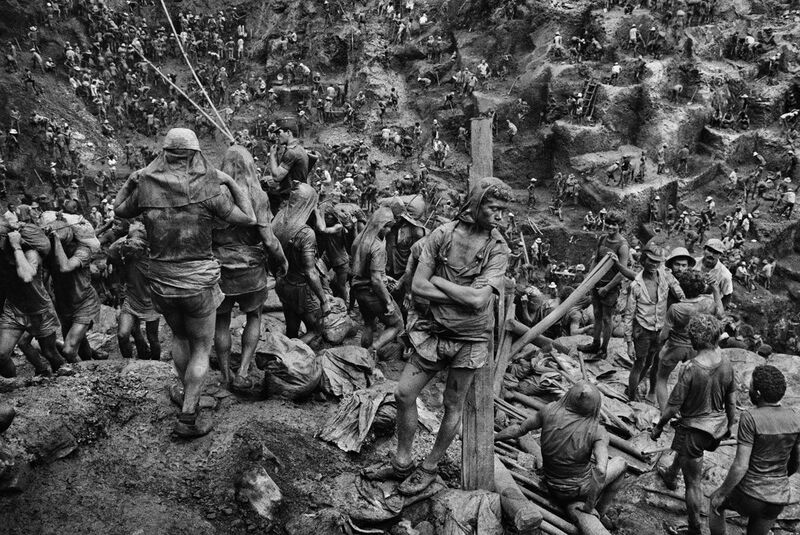 It is as if Salgado has gone as far as possible to encapsulate narrative within a single static shot. How Salgado came to take all these pictures is the subject of the biographical aspects of this film. In fact Sebastião Salgado’s life by itself is interesting . Born in 1944 to a modest farming family in the inland southeastern Brazilian state of Minas Gerais, he studied economics at a local university and, like many young people in the late 1960s became interested in politics. The advent of a brutal military dictatorship in Brazil at this time made life dangerous for politically minded people like Salgado, and so he and his wife Lelia left Brazil for France. Banking on his economics background, he soon found employment working for a coffee organization, which meant occasional trips to Africa. His wife Lelia gave him a camera to take along on one of these trips, and soon he became more interested in his photographs than in the job he was supposed to be doing. So in 1973 he decided to switch careers and try to make it as a photographer. His first major project was “Otras Americas” (1977-84), which took him to a number of South American countries (while still avoiding Brazil) . This set the thenceforth lifelong pattern for Sebastião – he would spend long stretches away on self-assignment from his family while enmeshing himself in the local lives of the people he was photographing. His subsequent projects took him to Asia, Africa, and far reaches of the globe, usually photographing indigenous peoples struggling to adjust to, and often just to survive, the ever-expanding world industrialization. Iraqi dictator Saddam Hussein’s departing attempt to incinerate Kuwait by setting fire to its oil fields. By the latter 1990s, all these man-made afflictions had sickened Salgado both physically and mentallly, and he abandoned his photographic expeditions. He returned to Brazil, and at the suggestion of his wife Lelia, they began to restore their family farmland by planting trees on a large scale and establishing an eco-sanctuary known as Instituto Terra . This eventually restored Salgado, and he returned to photography. His latest project “Genesis” (2004-11) was dedicated to portraying pristine areas of nature and human habitation . So the narrative depiction of Sebastião Salgado’s life has its ups and downs, but it culminates on a positive note of rebirth and optimism in mankind’s possibilities. The Salt of the Earth, however, is more than just a portrayal of a famous man’s life. It carries within it an implicit contemplation of how we know and communicate to others our understanding of the world. In this connection we might reflect upon the fact that when the photographic camera was invented, it was supposed to present an objective view of reality. However, Salgado, himself, knew this was a fantasy and has always asserted that each person’s recording of the world – even with a camera – depends on his or her personal history and perspective. Six people photographing the same scene will return with six different pictures. This is again the idea that every picture tells a story, and that story includes the picture-taker’s story as part of the tale. He feels the greys and shades are more expressive: “‘I have a big excitement for the greys. I luuuurve the greys!’ he cries, when explaining why he shoots only in black and white.” . 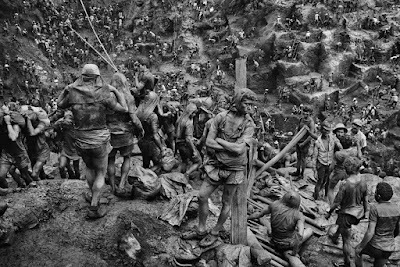 In this connection see what you think when you examine one of Salgado’s most famous photographs (shown with this review) showing the desperate human sprawl when viewed looking down at a Brazilian gold mine (mid-1990s). Level 1 is the brute physical world encountered by people. Level 2 is the world seen and presented by Sebastião Salgado. It is “colored” by Salgado’s contextual understanding and perspective. Level 3 are the worlds seen by Wim Wenders and Juliano Salgado. These two worlds are combined into the film and include the contextual perspectives of Wenders and Juliano Salgado. Level 4 are the respective worlds seen (and accordingly constructed) by the viewers of this film. As I have remarked in earlier reviews of documentary films , documentary filmmakers have adopted different strategies in this respect. Many documentarians present a lecture about what is claimed to be objective reality. Others (“direct cinema”) attempt to present an objective view by acting as if the camera is an invisible recorder of reality – the viewers are to form their own opinions about what is presented. Then there are still others who are willing to acknowledge the presence of the recorder (“cinema vérité”) and explicitly include his or her perspective as part of the record. Here in The Salt of the Earth, Wenders and Juliano Salgado present their views of Level 2 by showing Sebastião Salgado’s photographs and then add a cinema vérité touch by having Sebastião provide his own personal commentary concerning what he saw when he took the photographs. He looks directly into the camera and reports what he thinks – is he talking to the viewer or Wenders? Each viewer will come to his or her own conclusion about that. And of course, Wenders and Juliano Salgado do not present their own contextual perspectives (Level 3) in the film, so at that level they adopt a more traditional mode of presentation. We would expect that Wim Wenders and Juliano Salgado would have highly different personal perspectives in this regard, but we can only sniff around the edges in this connection. So ultimately we might say that this film is an attempt to present an objective view of Sebastião Salgado’s personal perspective. Most viewers, though, will roam across all four levels while watching this film. Along with Wim Wenders and Juliano Salgado, David Rosier was also a co-writer of the film. Larry Rohter, “‘The Salt of the Earth’ Presents a Photographer’s Life and Lens, in Focus”, The New York Times, (20 March 2015). It won the “Un Certain Regard Special Prize” at the festival. Bryan Appleyard, “Sebastiao Salgado: The Unfiltered Lens”, The Sunday Times (UK), (3 March 2013). Kenneth Turan, “'Salt of the Earth' Captures Photographer Sebastiao Salgado”, Los Angeles Times, (11 December 2014). See, for example: The Film Sufi, “‘Close-Up’ - Abbas Kiarostami (1990)”, The Film Sufi, (10 December 2009).